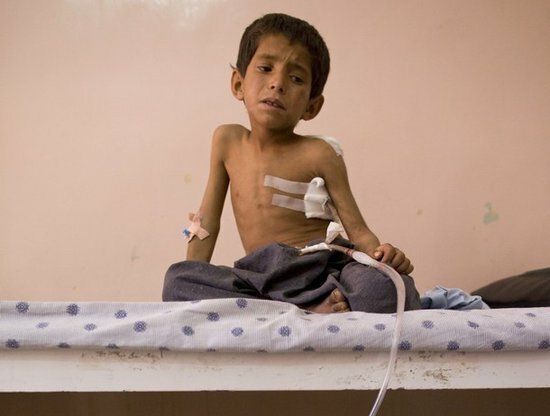 Seven-year-old Attiullah, who was wounded after a bullet entered his back coming out through his chest, sits on his bed at Mirwais hospital October 13, 2009 Kandahar, Afghanistan. According to his grandfather, Attiullah was shot by U.S forces as he was walking in the field near his home in the village of Sangissar, Panjway district watching the family's flock of sheep. The soldiers apparently shot at a vehicle that was supposedly Taliban and the boy got hit accidentally. Mirwais hospital in Kandahar city is the largest regional hospital in the area, supported by the ICRC and the Afghan government it caters to most of the war wounded in the most hostile part of the country. A recent U.N. report has described 2009 as the deadliest year in terms of civilian casualties in Afghanistan ever since the start of the U.S.-led war against Taliban in the country. In his latest report presented to the Pentagon, Gen. Stanley McChrystal, the U.S. top commander emphasized the need for winning the hearts and minds of the Afghans. The Taliban are now staging suicide attacks and IED blasts in densely populated areas to create a bigger impact as more of Afghan's war wounded hit the headlines. 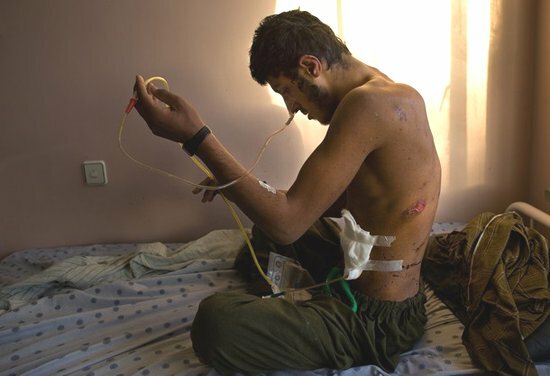 Rahmatullah, 18, sits in Mirwais hospital October 14, 2009 Kandahar, Afghanistan. Rahmatullah is suffering from chest injuries he sustained after he was hit from an aerial bombardment while standing outside a mosque on July 30th. 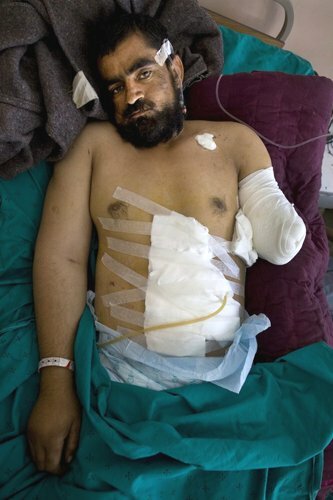 Nimatullah, 20, is paralyzed from the waist down after he was shot in the spine by U.S forces two and a half months ago October 14, 2009 Kandahar, Afghanistan. The story according to a family member is that he was told to stop but didn't understand and was shot in his village of Pashmul. 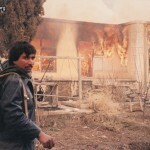 Nimatullah just had another operation on October 6th and is currently hospitalized at Mirwais hospital. 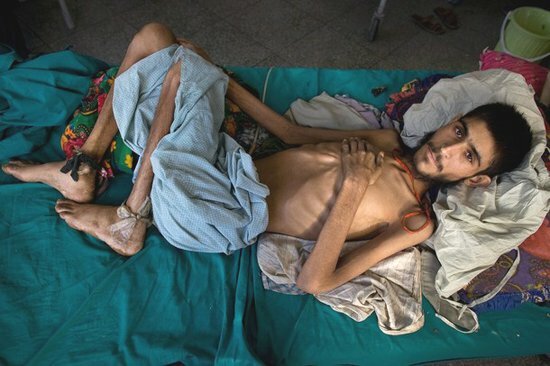 Rangin, 34, rests on a bed in the Intensive Care unit (ICU) of Mirwais hospital October 14, 2009 Kandahar, Afghanistan. According to his relatives, Rangin apparently got into a confrontation with U.S. Marines and was shot twice in the arm and back resulting in his arm being amputated. Cases of violence against women have increased by 10 percent during the current solar year in eastern Nangarhar province, officials said on Monday.